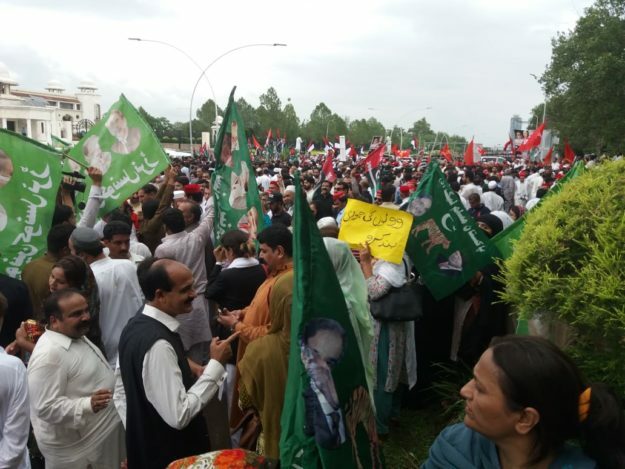 ISLAMABAD: In the absence of heads of the Pakistan Muslim League-Nawaz, Pakistan People’s Party and Awami National Party, the ‘Grand Opposition Alliance’ on Wednesday staged a protest outside the headquarters of the Election Commission of Pakistan (ECP) against alleged poll rigging and demanded resignations of the ECP management. 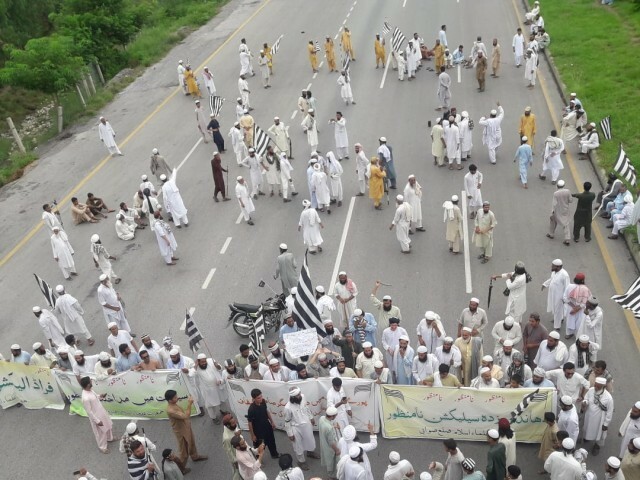 In a development that raised eyebrows, PML-N President Shehbaz Sharif, PPP Chairman Bilawal-Bhutto Zardari and ANP President Asfandyar Wali were conspicuous by their absence in the joint opposition’s protest while Muttahida Majlis-e-Amal Chief Maulana Fazlur Rehman joined the protest a couple of hours after it started that also appeared to have undermined the event’s significance. The PML-N, PPP, MMA and ANP are among the parties that formed the ‘Grand Opposition Alliance’ against alleged poll rigging in the general elections. 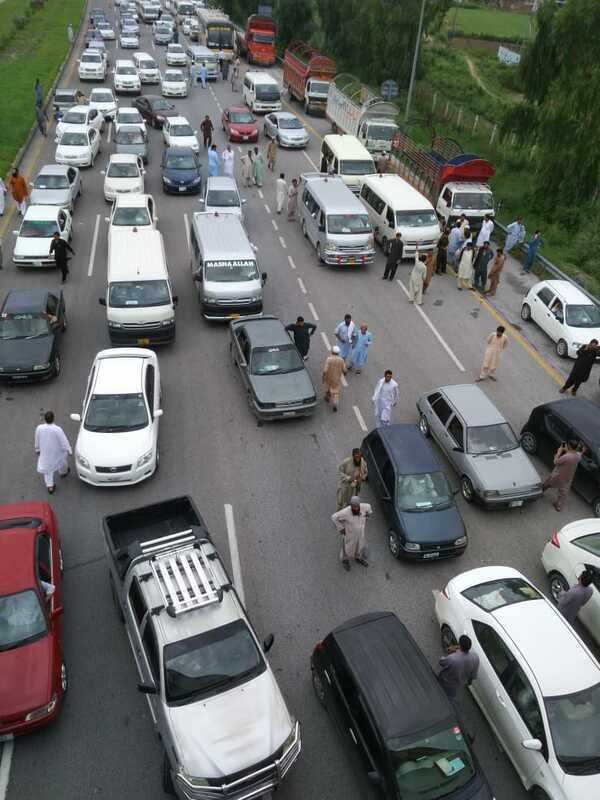 The protest was held on the call of the PML-N. Yet, the N-League chief Shehbaz Sharif did not show up at the huddle on the pretext of ‘bad weather’ which apparently did not allow him to fly from Lahore to Islamabad. Senior PPP leaders including former prime ministers Yousuf Raza Gilani and Raja Pervaiz Ashraf, Farhatullah Babar, Aitzaz Ahsan, Qamar Zaman Kaira, Khursheed Shah, Sherry Rehman and Naveed Qamar among others attended the protest. The PML-N was represented by party Chairman Raja Zafarul Haq, Mushahid Hussain Sayed, Ahsan Iqbal, Khawaja Asif, Barrister Javed Abbasi, Chaudhry Tanvir, Javed Hashmi and others. 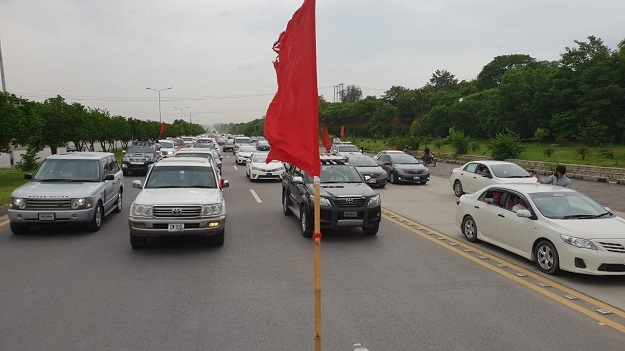 Afrasiab Khattak, Zahid Khan and other leaders represented the ANP while Abdul Ghafoor Haideri was among the main leaders from the MMA who showed up at the protest. In addition to Fazl. 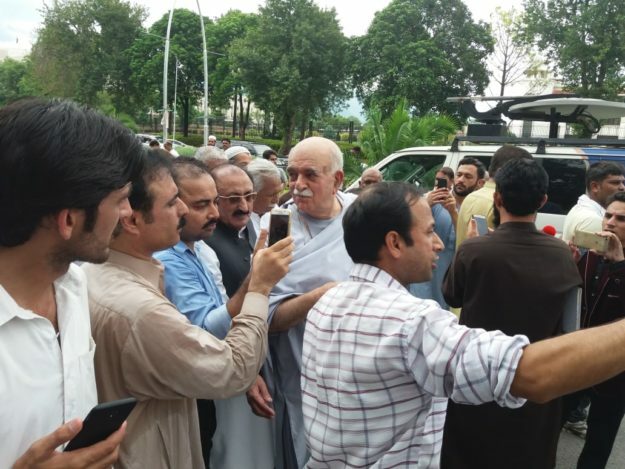 Pashtunkhwa Milli Awami Party Chief Mehmood Khan Achakzai and Qaumi Watan Party’s head Aftab Sherpao were also present. 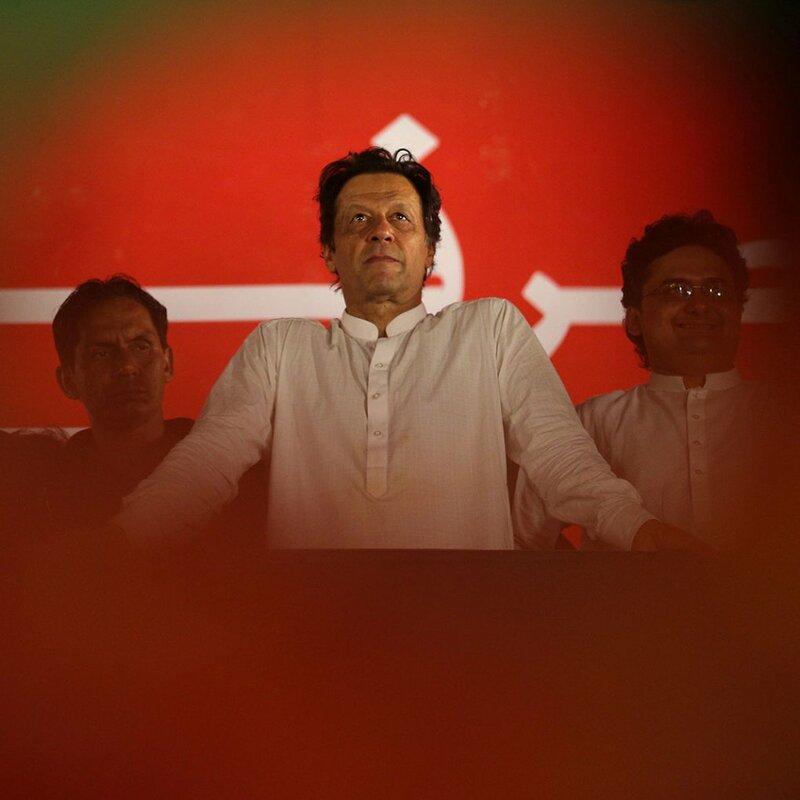 Addressing the protest, the participants criticised the Pakistan Tehreek-e-Insaf and its chairman Imran Khan for their “reluctance to cooperate in allowing fair probe into rigging in the general elections”. They also criticised the management of the ECP and demanded resignations of its top brass for failing to provide a level-playing field in the run-up to the elections and failure of the Result Transmission System on election day. Fazl announced holding protests outside Provincial Election Commission offices in Karachi, Lahore, Peshawar and Quetta today (Thursday). Well-placed sources in the PML-N see the absence of heads of major opposition parties as an “expression of detachment” from the moves of the joint opposition. “It makes no sense why Shehbaz was in Lahore on the day when he had given the call to hold protest outside the ECP office in Islamabad. He should have been in the federal capital overnight or so to mobilise political support to gather people in maximum numbers in the joint opposition’s protest,” said a former federal minister, requesting anonymity. The source said Shehbaz gave a call for (Wednesday’s) protest from the forum of the joint opposition against the backdrop of pressure exerted by the opposition leaders on the PML-N leadership to actively take part in the opposition’s anti-poll rigging campaign. “Out of compulsion, the major opposition parties like the PML-N and the PPP have to participate in the protests since they are part of the Grand Opposition Alliance. 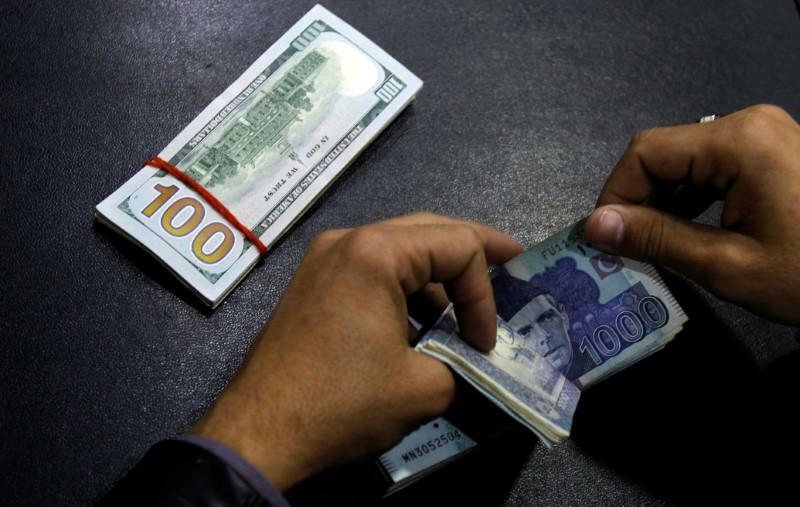 Practically, those parties have no plans to go for the street agitation and prefer to register their protests inside parliament and provincial assemblies,” the source said. Moreover, Fazl decided not to attend the protest after learning that heads of the PML-N, PPP and ANP did not show up at the protest site. However, he changed his mind on the insistence of senior opposition leaders, it is learnt. A PML-N senator, requesting anonymity, said the party leadership asked senior party leaders — including the general poll contestants on PML-N tickets — to gather outside the ECP office while no such instructions were issued for the party’s workers. Interestingly, heads of smaller political groups, who are protesting against the general election results, are all those who lost their home seats on July 25. 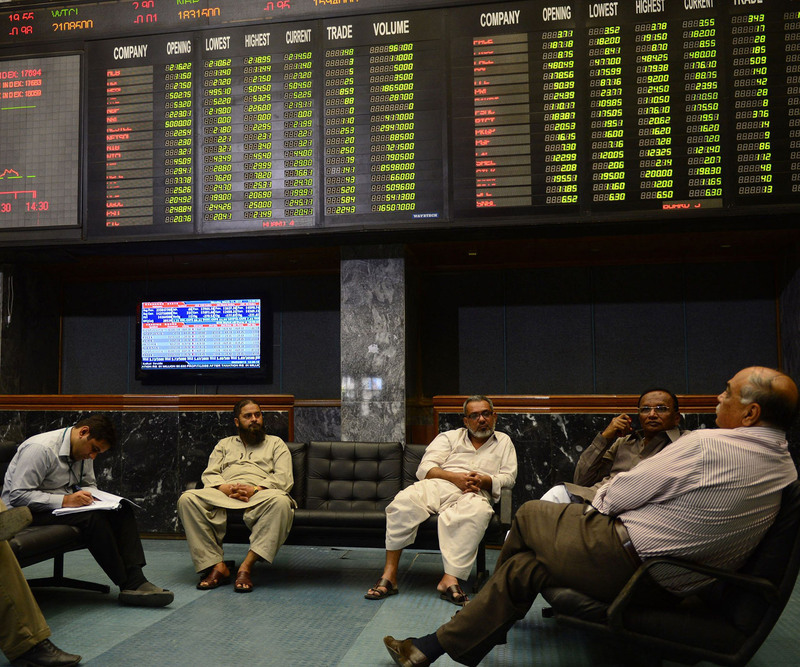 Those include MMA’s Fazl, ANP’s Asfandyar, PkMAP’s Achakzai, Pakistan Sarzameen Party’s Mustafa Kamal and QWP’s Sherpao. Oh well. Same old same old.